Come see all the fun I had at TMSLA 2015! I've been to many trade shows in the past (WSA, MAGIC, Project, etc. ) when I worked for a major online shoe retailer, but this was my very first beauty industry show. And I have to say, I had a lot of fun at The Makeup Show LA! Maybe it was because of my love of all things makeup, or maybe it was because I was surrounded by so much creativity ... I don't know but either way I know I'll be back next year! MAC Studio Sculpt ConcealerI feel like shouting this off my rooftop! Seriously! I think I may have found what I was looking for – the perfect concealer to cover my dark under eye circles! Thanks to MAC’s new Studio Sculpt line, I was able to find a concealer I could live with. I’m talking natural coverage that makes me feel like I’m in my 20’s again! I was pleasantly surprised to find that NW20 matched my skin tone perfectly, and the creamy constancy made it super easy to apply – no more tugging at delicate skin. By the way, Studio Sculpt covers more than just dark under eye circles, it covers red blemishes and age spots as well! So, do you wanna know how I covered my circles? 1) Start by applying your favorite eye moisturizer – mine is Skyn Iceland Icelandic Relief Eye Cream – to the under eye with your finger tips. 2) Dab a little Tricia Sawyer Eye Slept brightener in the inner corner, under the eyes. 3) Then with the beautyblender, gently sponge on MAC Studio Sculpt Concealer over the dark circles (again, my perfect match is NW20 but they have so many shades you’re bound to find the perfect one for you). Honestly, if MAC were to stop producing the Studio Sculpt Concealer, I might have to wear black and grieve for years to come. Yes, I said years. beautyblender and cleanser $34.95I recently noticed a lot of people using the beautyblender sponge in their makeup videos. Their foundation looked even and natural, not blotchy or streaky. Sure the MAC stippling brush I was using was doing an okay job, but I wanted more. I wanted what makeup artists were using on their clients and the beautyblender seemed to be their go-to magic tool. Now that I have tried it, I don’t know how I lived without the beautyblender. 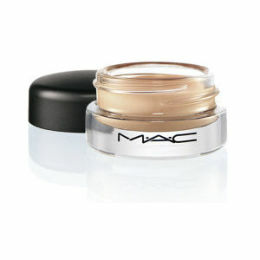 It’s perfect for the delicate area around my eyes and gives new meaning to buildable coverage. My concealer and foundation go on better than ever! Even my boy said my makeup looked natural, he could totally tell the difference. But the best part about the sponge is that it can be cleaned and last up to 3 months. Plus when you’re done with the beautyblender, send it back to them and they will recycle it for you! How cool is that?! Seriously, give it a try and you will fall in love too!